﻿ Replacing the Lambo’s old speakers. They were BLOWN out! 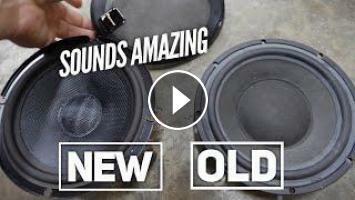 Replacing the Lambo’s old speakers. They were BLOWN out! Working with Pioneer I spent more than 30 hours modernizing the Diablo without cutting into the wiring harness. You will not believe the sound quality of the Z series speakers. I use my noise analyzer to factually show why the new speakers are objectively a massive improvement .